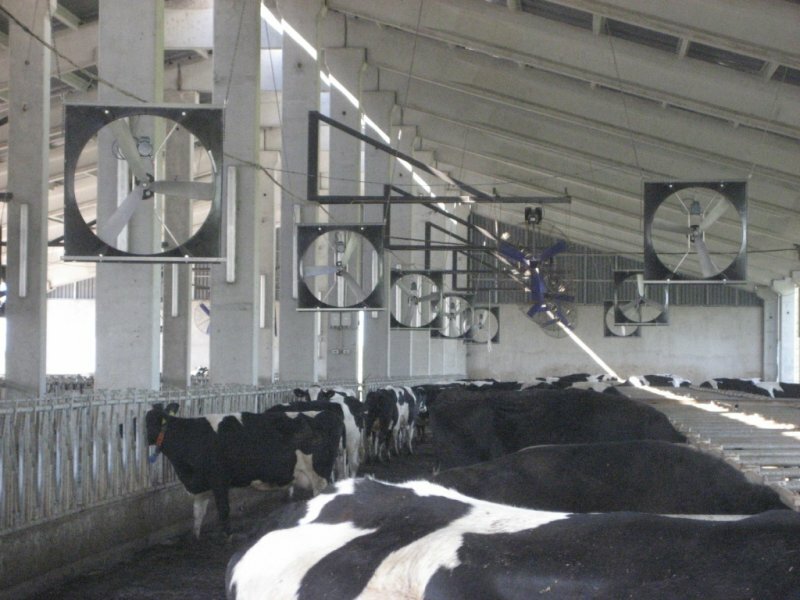 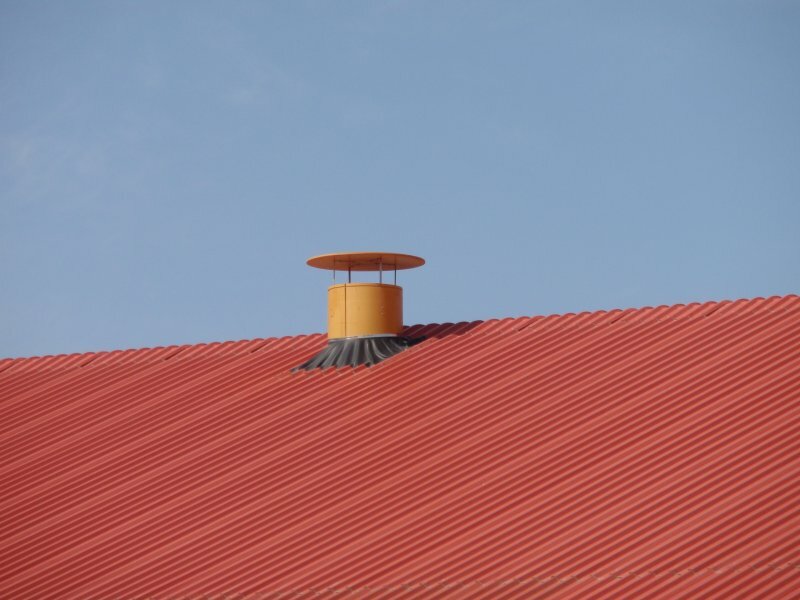 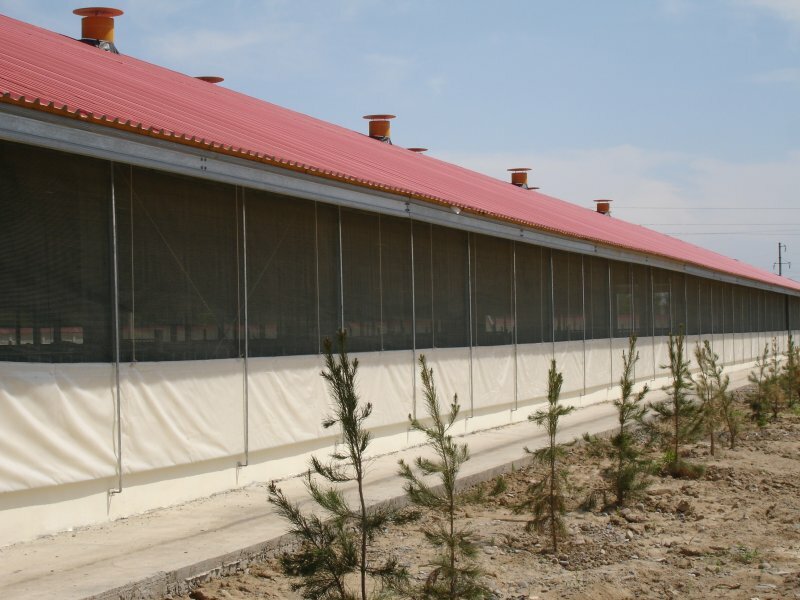 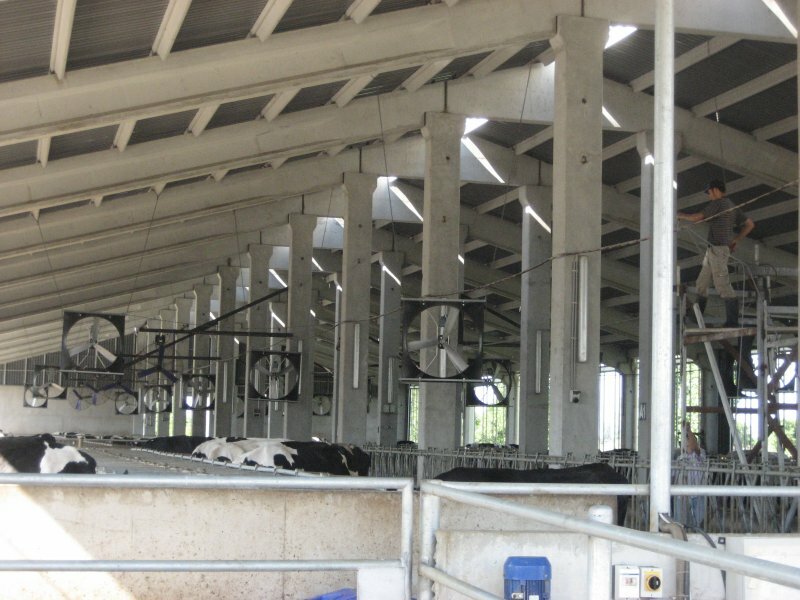 Optimal ventilation is important for the health and productivity of dairy cattle. 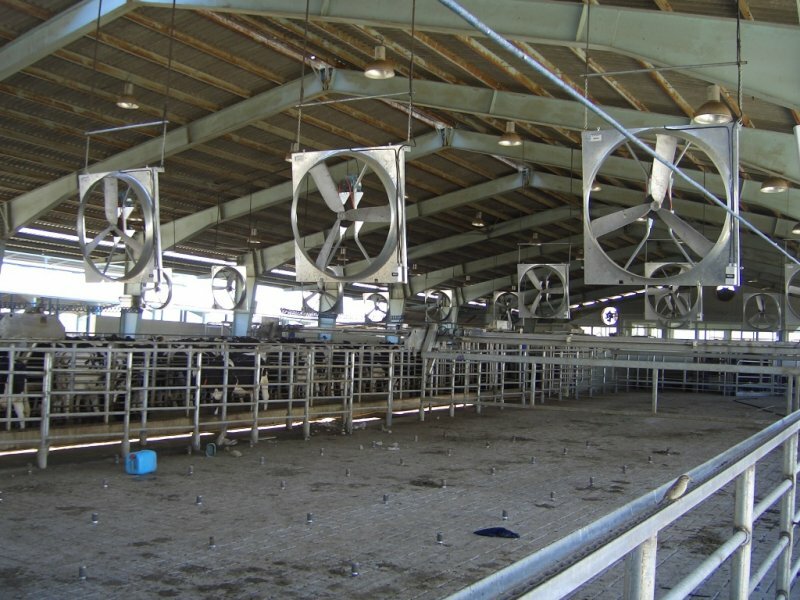 Cows produce heat, moisture, manure and urine, which adds moisture and gasses like ammonia to the environment. 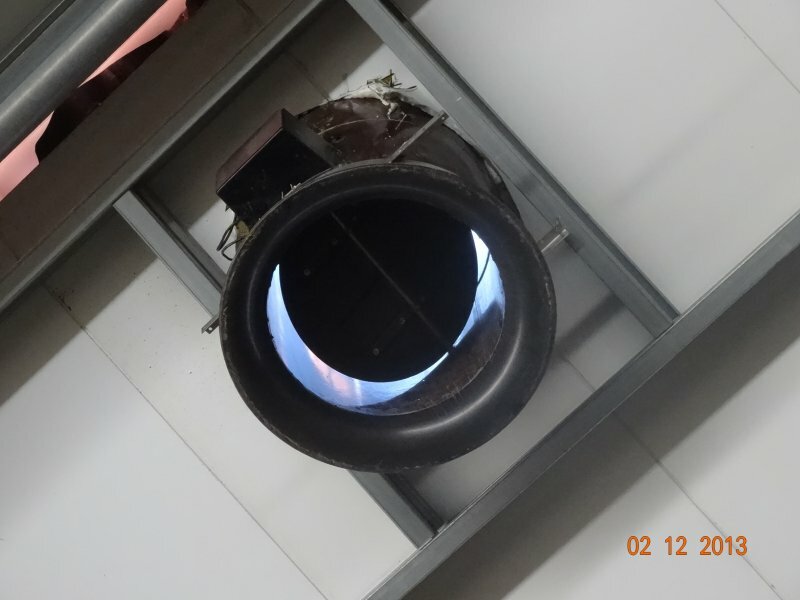 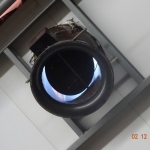 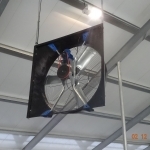 It is important to remove foul air and replace it with fresh air to avoid respiratory problems. 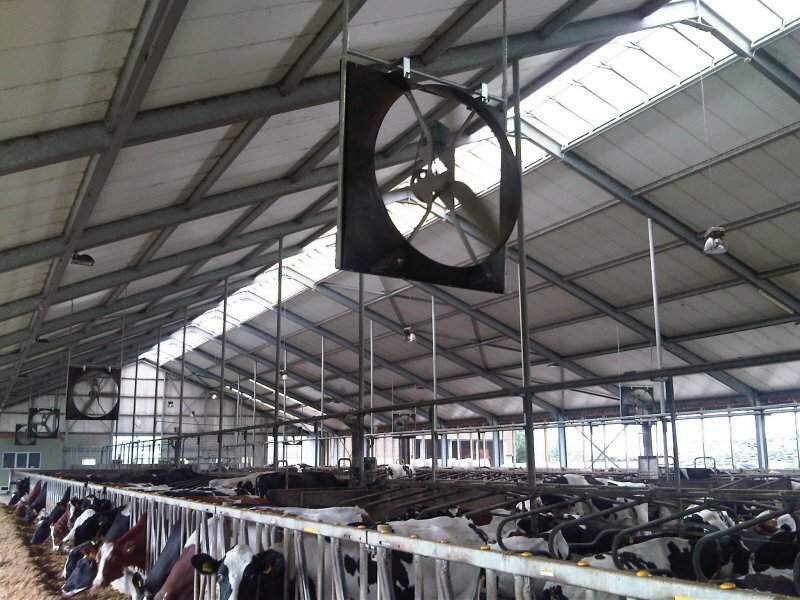 When the weather is hot it is important reduce heat stress to keep the cattle comfortable. 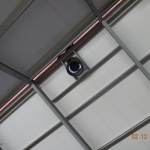 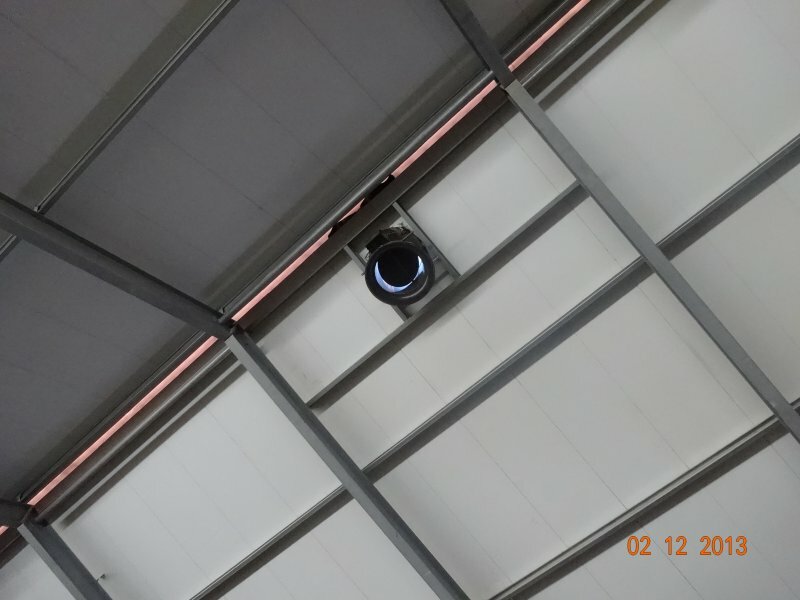 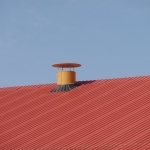 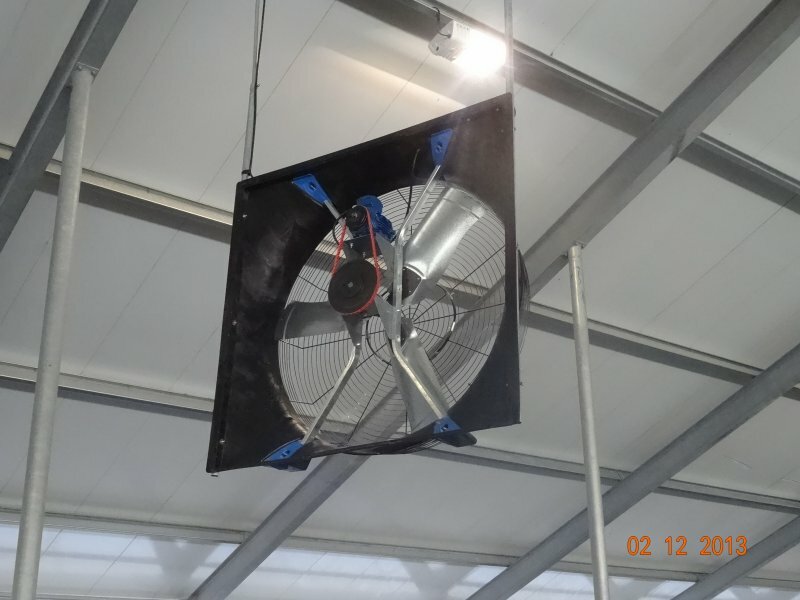 An inlet system to allow fresh air into a building. 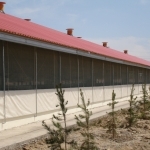 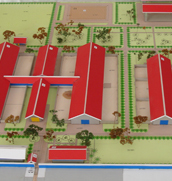 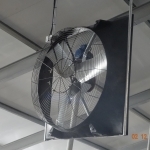 A control system to provide the correct amount of air entering and leaving the building. 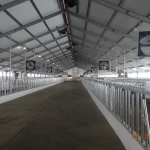 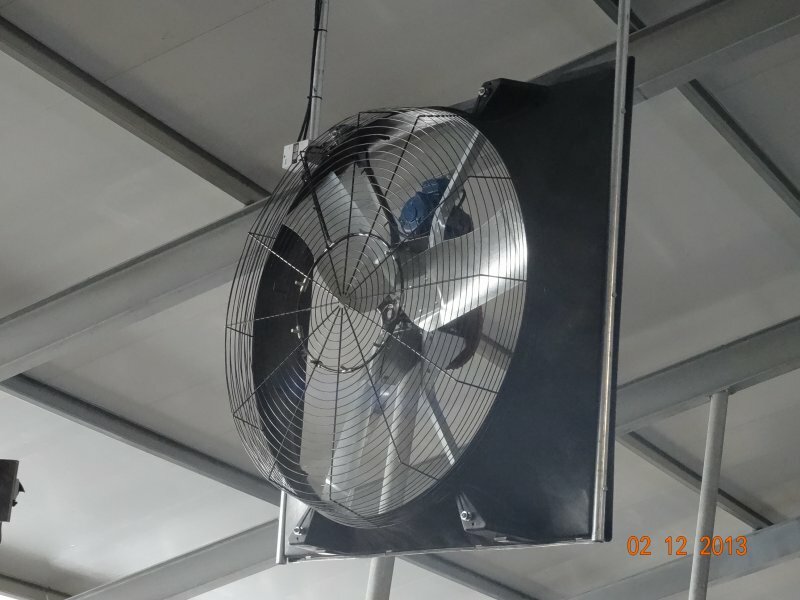 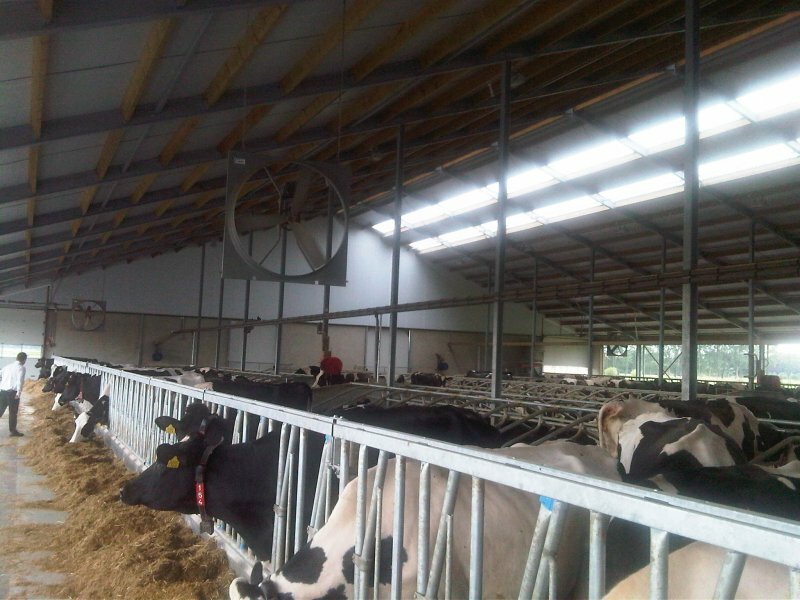 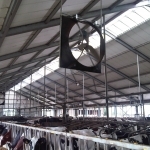 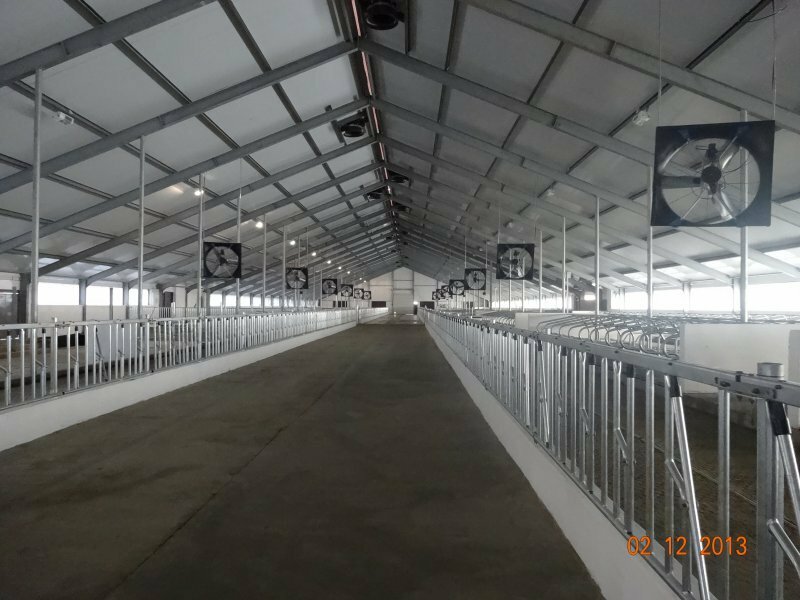 Van der Ploeg International supplies all kinds of ventilation equipment according the climatically condition for an optimal environment for the dairy cows.